You know what I love? I love a beautiful quality clutch with lots of pockets inside for all my diabetic supplies. But the problem is, most clutches are usually not designed with a type one diabetic in mind (go figure ha). All of the clutches I own either have no pockets or just one and by the end of the night it is almost guaranteed that any clutch I bring along with me looks like a complete disaster zone. There is usually an array of used test strips, lancets and more floating around the bottom. So when Monica Vesci contacted me and told me about her just launched Camino Clutch line made with type 1 diabetics in mind I was thrilled! And when I received my new clutch in the mail I was just blown away at what a brilliant design it really is. Each clutch is made with gorgeous fabric and Italian leather trim. Now the best part...the clutches include a hidden discreet disposable sharps container and special little pockets for all your supplies. No more letting all those used test trips and lancets float around the bottom of your purse! And today you have a chance to win one for yourself! You do not need to be type 1 diabetic to enter this giveaway, but if you are you will appreciate the inside for sure! Visit Monica Vesci and come back and leave a comment letting me know which clutch you would like to win. Open to US readers only. A winner will be selected at random and announced at the bottom of this Friday's post so make sure to check back. I think the Koral Chloe Chevron clutch is gorgeous! I love the Camino Clutch in Royal Princess Olivia. That pattern is so cute! If I won, I would give the clutch to my mom, who is diabetic so she could put her sharps in there. If it were me, I would put my burt's bees in there. I can never find mine in my purse and it would be nice to have a place for it and the ever elusive hair ties that float around in the bottom of my purse. Liked her on Facebook. I'd love to win Java Giraf clutch. I'd put vitamins in the container! Camino Clutch in Royal Princess Olivia - I would love love love this!! And...since I'm also type 1, I'd use the sharps for sharps! haha. Or, bobbypins are always a good alternative and always needed in a clutch. I would use the little container for bobby pins like you said above. That is a great idea since those always get lost in my purse. i love the camino turkis timmi chevron clutch. what great pieces! thanks for the giveaway! I love the Camino Clutch in Turkis Timmi Chevron! It reminds me of spring and summer :). It's April and the weather is sooo cold in Ohio. i would put some sort of lip balm in the sharps container. i always need my lip balm asap! I liked her page, and I love the Royal Princess pattern! I am not a diabetic but I really love that the clutch has so many pockets that I can't stress enough :). I never use a clutch because I find them so hard to use. I'd use the pockets for my hair pins and definitely lip balms. I'm all about some bobby pin containment, but I'd most likely (if I can bring myself to be a good sister) give the clutch to my T1D sister if I win. I would love to win the Camino Clutch in Royal Princess Olivia! Liked her FB & oh my goodness i love ALL of the bags, but the camino clutch in Koral Chloe definitely stole my eye! I would use the container for bobby pins most certainly, that or vitamins! I liked Monica Vesci on FB!!! Oh man i added my "extra" comment to my first. I would use the container most definitely for bobby pins as well as vitamins. If I won, I would give this clutch to my diabetic aunt for her birthday in May! She usually keeps her sharps in a gift card container from Michaels! Thanks for the giveaway! I like the Camino Clutch in Turkis Timmi Chevron! So pretty! I like her on FB! Ooo too cute! I'd love the Java Giraf clutch & I liked her FB. Most likely I would put medicines in the container. I'd be putting vitamins in there for sure! What a great giveaway for Type 1's! I would put extra insulin pen tops in the container! I would love the Koral Chloé. Soooo pretty! I love the camino clutch in Turkish Tommie chevron. Too cute!!! My hubby was just diagnosed with type 1 so I would be more than happy to carry his supplies instead of using an insulated lunch bag. I would like to win the camino clutch in Koral Chloe chevron! I liked Monica Vesci on facebook. I would most likely put bobby pins in the sharps container! Perfect giveaway for a T1 college student! The Camino clutch in Royal Princess Olivia would be perfect for game days!! I liked on Facebook and followed on Twitter as well! The container would be so helpful to hold my extra pen needles!! I like the koral chloe chevron! I also like the one you have pictured above. both of those colors are fabulous! I LOVE the turkish timmi chevron clutch! I love the Camino Clutch in Java Giraf Jules!! I liked her on Facebook too!! I would use it as a container for sharps/test strips! Love, Love the Emerald Ikat Monica! Would def use the sharps container for lancets and test strips! Ohhhh....I love the Hot Pink Heidi!! I would use the sharps container for bobby pins! Those little suckers are floating everywhere in my purse! Of course when I actually need one is when I can't find any! I love the Camino Clutch in Koral Chloé Chevron!!! So so pretty. I would use the sharps container for loose bobby pins. I LOVE the Turkis Timmi Chevron!! What a great clutch! I love the idea of a cute bag for a diabetic. I like the Turkis Timmi Chevron. Thanks for the chance to enter. Thanks for the chance to enter the drawing. If I win, I'll give to my Type 1 daughter. She can be stylish around town. I like the Turkis Timmi Chevron. I love the Camino Clutch in Royal Princess Olivia! I would put vitamins in the sharps container. I love the Royal Princess Olivia clutch, such a great pattern. Love the Royal Princess clutch! - Liked on facebook. I think I'd use the container for bobby & safety pins. I adore the camino clutch in hot pink heidi!!!! I would use the sharps container for bobby pins, they are ALWAYS getting lost and floating loose at the bottom of my purse! Both of my personalities just did a little jump for joy! The lady in me loves the outside and the T1 diabetic in me is ecstatic for the inside! I would choose the Hot Pink Heidi! I would definitely use the sharps container for used test strips! Maybe this would mean I wouldn't leave an evidence trail everywhere I go. Oh my gosh gorgeous! The Royal Princess Olivia is my favorite! I liked Monica Vesci on FB. I followed Monica Vesci on Twitter, too! I love Monica's clutch in Emerald Ikat! Gorgeous and fun! I would use the container for all my bobby pins. Sure would beat carrying a travel Tums container around to keep all those little guys in one place! I would want the Camino Clutch in Turkis Timmi Chevron! It is so light and pretty. Perfect for summer! I liked Monica Vesci on FB! I would love the camini clutch in turkish timmi chevron!!! So pretty!! I would use the pockets for my keys that I am always losing! I work at a hospital and use a sharps container all of the time! But if I had one at home I would put needles in it, ( I had a clot once and had to give myself shots), broken glass, sewing needles, safety pins, and maybe even light bulbs! 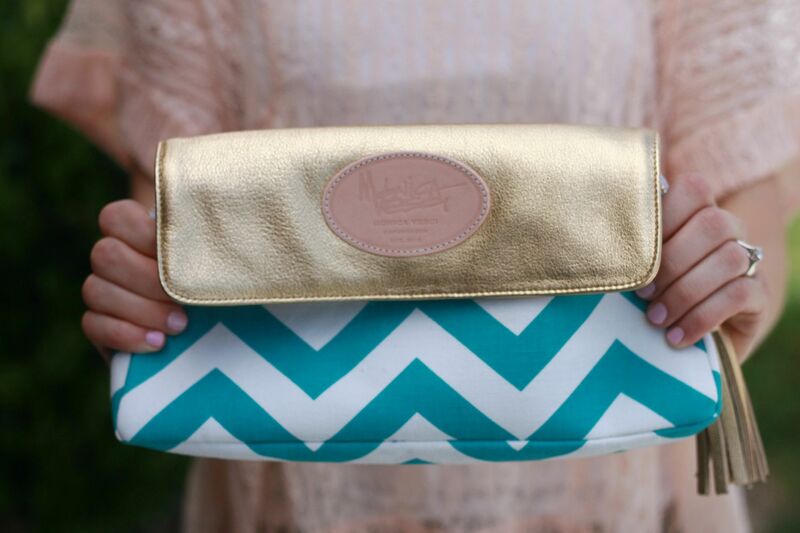 Love the timmi chevron one and the Princess Olivia clutch too! So cute. Such a CUTE clutch! I would LOVE it in the koral chevron. I would use the container for bobby pins, I am constantly searching at the bottom of my purse for them! 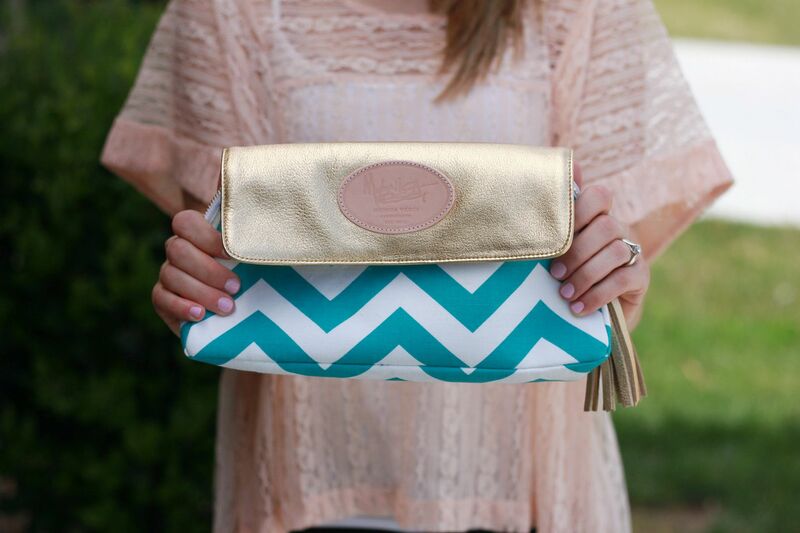 I am in LOVE with the Camino clutch in Turkis Timmi Chevron! Absolutely ADORABLE! I would LOVE the Princess Olivia clutch. Theses are adorable! I LOVE the clutch you have pictured! So super cute. Great giveaway!! YOWZAS I love love love the java giraf like with my whole heart. Like love! Like seriously !!! I have no facebook no twitter only this one chance to win so no pressure mkay? I would use the secret storage for my earrings!! I always forget to put them in before I walk out the door so handy dandy stash would be superb! I love the koral-chloe-chevron!!! I would use the extra container for test strips. That way I wouldn't leave a trail everywhere I go! I always worry when I visit my baby niece she will pick one up and put it in her mouth! I'm following Monica on twitter! I would most likely put bobby pins in the container. I like the Royal Princess Olivia! I would probably put medicine in the sharps container, that way I know exactly where it is! Camino Clutch in Java Giraf Jules...SO cute!! I'd put my chapstick and gloss in the sharps area. I hate having mine just floating around in my clutch. I absolutely love the Camino Clutch in Royal Princess Olivia! Stunning! I would use the container for me bobby pins! They always seem to be missing when I need them! I LOVE the emerald ikat Monica. 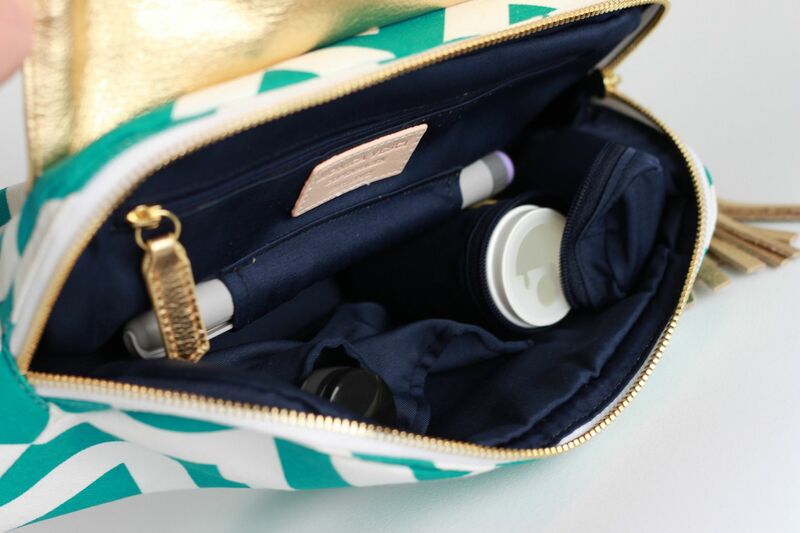 I'd probably use the sharps area for clips, hair ties, tweezers, and the assortment of little things that are always hard to find in the bottom of a purse. Liking Monica's FB and twitter pages. The Turkis Timmi is my favorite and I just liked Monica on FB. Living with T1 diabetes for over 35 years, I am always trying to find something cute to put my meter, stips, insulin pen and needles in. The sharps container is a bonus that I would use for my needles. I love the royal princess Olivia .ive been type one diabetic for 17 years, & am thrilled there's a pretty " kit" available doesn't look " medical" @ all from the outside. I would use the sharps container for pen needles and test strips. i love her on facebook and would love the Camino Clutch in Royal Princess Olivia !! If I win I'd love the Camino Clutch in Emerald Ikat Monica, so pretty! I would most likely put extra hair ties and clips in the sharps container, I always need some backup for my long hair! I, of course, would put used test strips and lancets in the sharps pocket! AND I pinned one of these bad boys on Pintrest too! I liked her page & I think the Camino Clutch in Koral Chloé Chevron is absolutely beautiful! I would definitely steal your idea & use the sharps container for bobby pins. They're always littered on the bottom of my bags. And I followed Monica on twitter! And I would definitely put all of my used strips in the container! I can't tell you how often I find a stray one (or ten) wandering around the bottom of my purse! My husband is Type II, and I would carry his supplies in my Java Giraf Jules. I would love the Camino Clutch in Turkis Timmi Chevron. I liked her page and it was hard to choose because they're all so gorgeous, but I think I liked the Royal Princess Olivia the best! As a future nurse, I think the portable sharps container is GENIUS! However, I am not diabetic so I think I would use the sharps for bobby pins and hair ties. I'm always rummaging through my purse for those little buggars. The Camino Clutch in Emerald Ikat Monica!! So beautiful!! Mini Sharps Container? Genius. No more using my empty test strip containers? Even better! I would use the portable sharps container for all those little lancets! I actually change them out religiously these days!! I liked her page too! Loving this. Emerald Ikat Monica. Definitely use for lancest and strips - I can't tell you how many of these are floating in my purse right now (all in the bottom of a cosmetic bag). Love the Royal Princess Olivia! Definitely would use the sharps container as my mini trash can: strips, lancets, candy wrappers from low blood sugars, alcohol swabs, etc. I forgot to post this along with my other one. I'm also following her on twitter! I didn't even have to think about it! def the one you pictured the tirkis chevron. My favorite color! I also pinned one on pinterest since I don't have facebook! Sharps container... definitely test strips. I'm embarrassed about where I find those icky things!